An alternative to cream-based pizza sauce, tomato-based pizza sauce, or plain oil basted pizza crusts is this delicious, simple onion sauce. This lightly tangy onion pizza sauce is excellent with vegetables on pizza, and with chicken. I marinate the chicken for my pizza in a Biscayne Citrus Rub, ascorbic acid, a little water, and safflower oil. This citrus-flavored chicken is spectacular with the low-amine, tomato-free, dairy-free onion pizza sauce. I use allergen-free Namaste pizza crust mix and cook it quite crisp, and do up a cheese-free pizza with vegetables and the pre-cooked marinated chicken. Examples of vegetables used are chopped endive, onion, asparagus, and thin slices of green bean. Whatever vegetables you should decide to use, just remember to ENJOY! Heat large saucepan to medium high. Add butter. Add onions. Cook until onions start to sweat. Add garlic, parsley, and salt. Cook until onions are cooked through. Mix cornstarch in with beef broth. Add beef broth, cornstarch, and ascorbic acid. Reduce heat to medium. Cook for 25 minutes or until the liquid is fairly thickened and evaporated out. Stir often. Add Sichuan peppers about 5 minutes from the end. Set aside and use onion pizza sauce on your regular or gluten-free pizza crust. 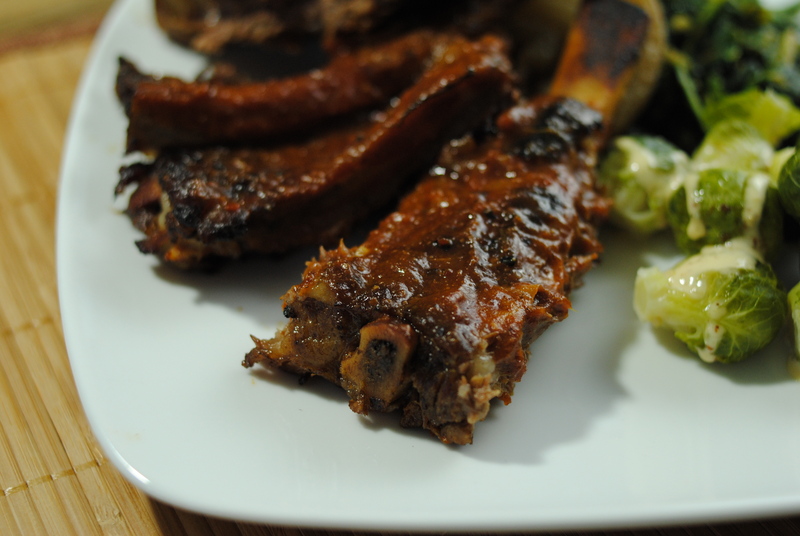 I like my ribs two ways… I like them falling off the bone, finger-licking, belly-rubbing good, and I like them tough as nails and a fight to get off the bone. I think I must get it from my Korean grandma. We gnaw those bones CLEAN. 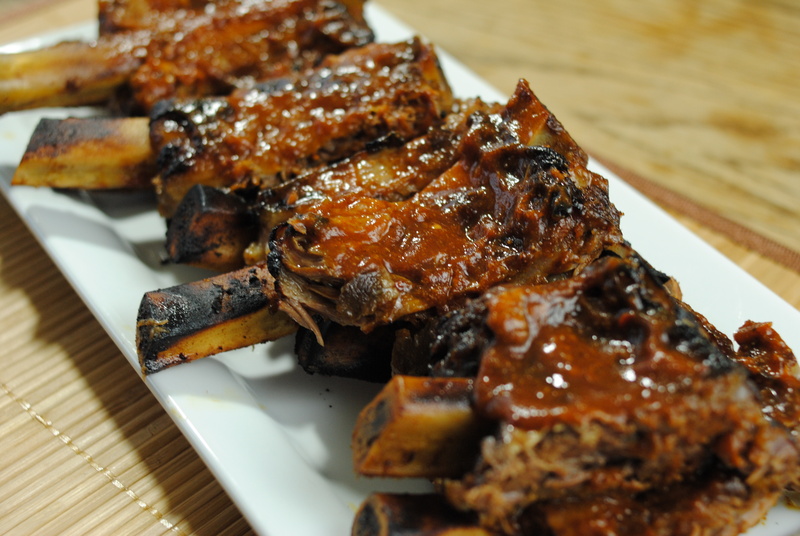 The BBQ beef rib method I will be showing you today is the kind that will most likely leave your guests in awe of what a BBQ beef rib master you are. Tender, delicious, and easy (though darn right, still messy) to eat. Big thanks to Mr. Rig It for the original BBQ beef ribs method! 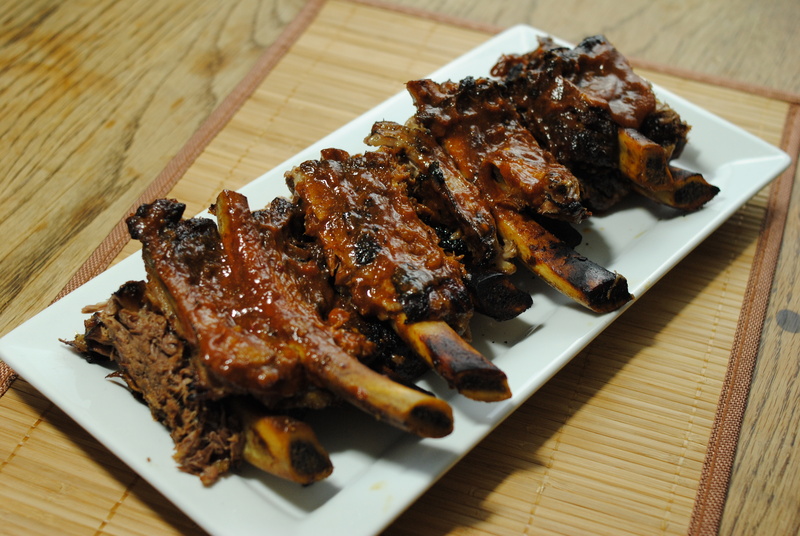 Low-Amine BBQ Beef Ribs… Getting hungry yet? 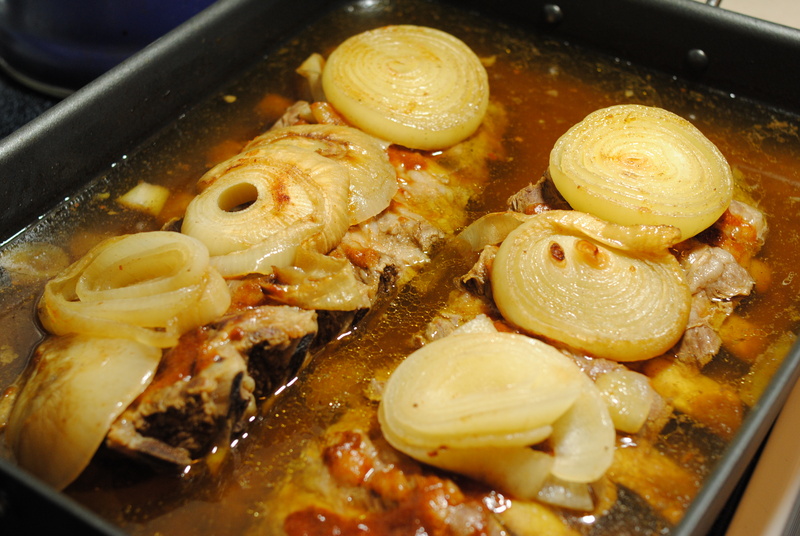 Lay ribs flat in roasting pan. Set aside a third of the low-amine BBQ sauce for finishing the ribs at the very end. Baste top side of beef ribs with a light layer of low-amine BBQ sauce. 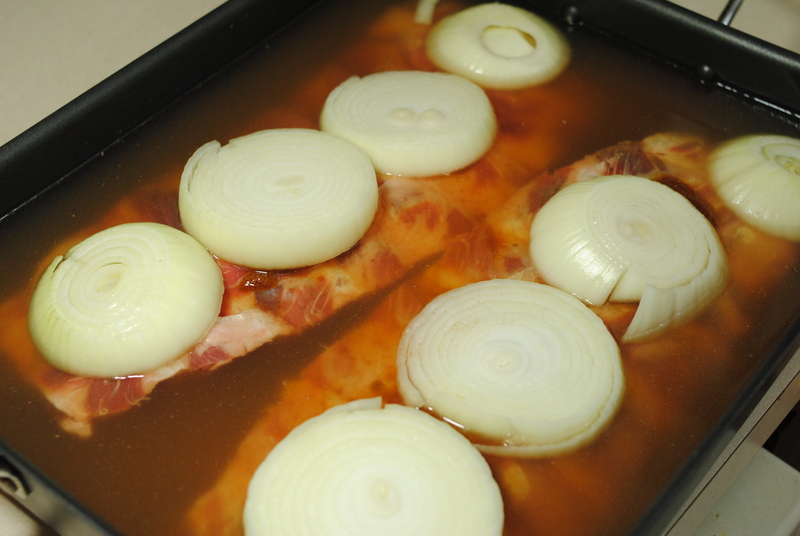 Slice onions into thick slabs and lay them on the ribs. Add water to roasting pan, enough to just barely cover ribs. Low-Amine BBQ Beef Ribs prepped for their first hour of cooking. 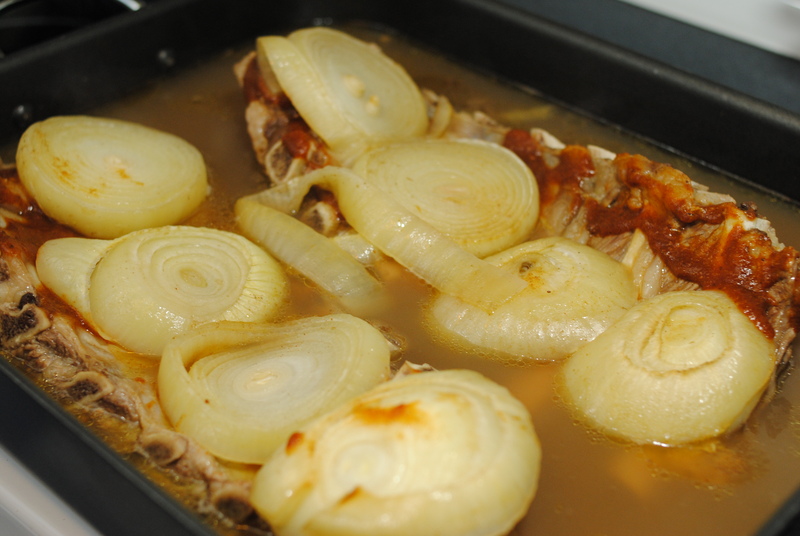 Cook for one hour, then remove onions and flip. Baste lightly and replace onions on top of BBQ beef rib racks. Low-Amine BBQ Beef Ribs after one hour cooking. Cook for three hours, flipping beef ribs at each hour interval. Ribs should be starting to fall apart at this point. You don’t want them SO tender that they literally fall off the bone – remember, you still have to move your low-amine BBQ beef ribs to the grill and finish them there. But you do want them very tender. Low-Amine BBQ Beef Ribs after two hours cooking. Notice the meat is starting to creep away from the ends of the bones, giving it that “Frenched rib” look. Move beef ribs to a platter and start up your grill. Reserve onions to serve with your low-amine BBQ beef ribs, if desired. Feel free to cook as a whole slab (more difficult) or cut beef ribs into individual pieces, or in groups of two or three beef ribs. Low-Amine BBQ Beef Ribs getting ready for the final grilling. Baste ribs on both sides. Grill on medium high (get some char and color to the sauce, but try not to burn up your low-amine BBQ beef ribs) with the meatier side facing up. Low-Amine BBQ Beef Ribs finishing on the grill. Flip, and cook meatier side down. 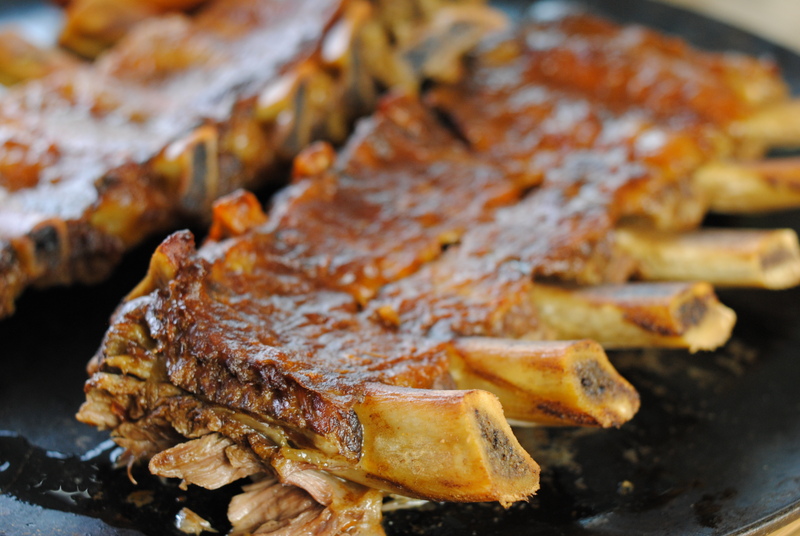 Slice ribs halfway between the bones to create equally spaced, gorgeous, low-amine BBQ beef ribs. Low-Amine BBQ Beef Ribs, served! 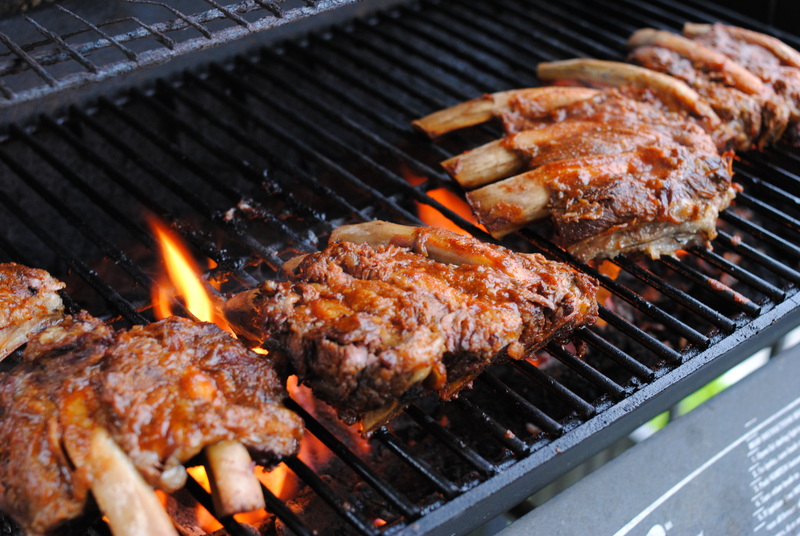 Microwave the reserved low-amine BBQ sauce for a few seconds to warm it, and give your BBQ beef ribs a final saucing. 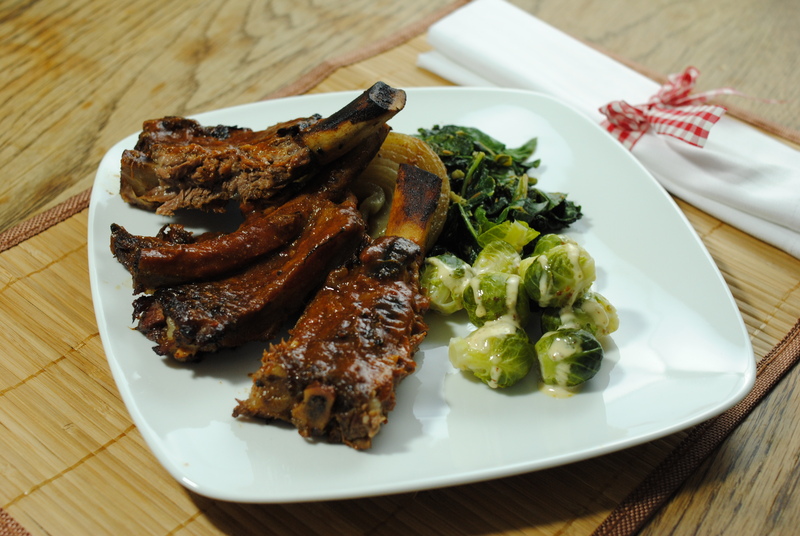 Enjoy your Low-Amine BBQ Beef Ribs! An alternative to cream- or tomato-based pasta sauces is a simple onion sauce. An added benefit to tomato-free onion sauces is that they’re great if you’re sick. Onions create heat in your body, and help you burn out the bad stuff. Since I’m still under the weather (going on two weeks now), I made myself a giant batch of this onion sauce with my gluten-free quinoa noodles. Mix cornstarch in with beef broth. Add beef broth, cornstarch, and ascorbic acid. Reduce heat to medium. Cook for 10 minutes, stirring often. Add Sichuan peppers 5 minutes from the end. Serve hot over preferred noodles. Vinegar is very high in amines, so I have come up with vinegar substitutions that are amine-allergy friendly. These vinegar substitutions are low amine, delicious, and easy to make. Blueberry juice does not give me problems, but please be aware that though it is low in tyramines, it is high in histamines. Use if your diet will allow for it, otherwise opt for an unsweetened pomegranate juice. This slightly sweet dressing is slightly reminiscent of pumpkin pie and has a lightly tangy kick to it. It goes well on salads as well as being used as a sauce for meats such as chicken. In a food processor, puree apple. 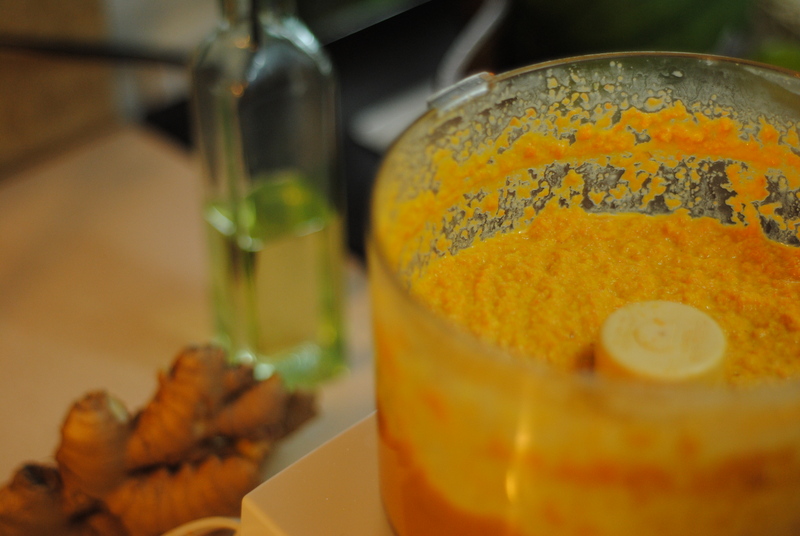 Add all other ingredients and puree until very smooth. Tsatsiki / Tzatziki made with Cashews (low-amine, gluten-free, soy-free, dairy-free, egg-free, tomato-free, paleo, low-carb, vegetarian, vegan). Tsatsiki is a wonderful sauce to serve with many dishes. I like it with vegetables, or with lamb or chicken. 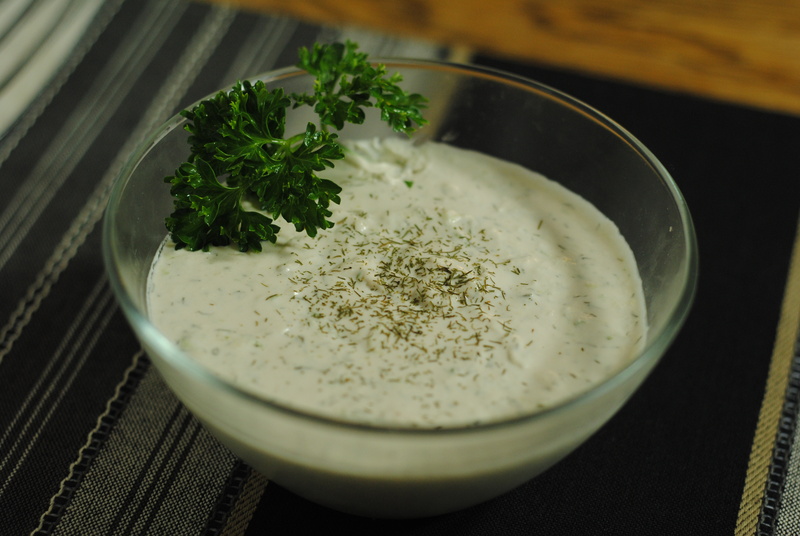 Below are two variations on tzatziki recipes. You can use either mint or dill, depending on your preference in flavors, and vary the amount of cucumber you want to use, depending on your own personal preferences. One recipe is low-amine and dairy-free, and the other is vegan (nut-based). Grated Cucumber for Tzatziki. It's better with larger shreds, but I don't have a less-fine grater. Squeeze water out of cucumber. Mix together all ingredients and let flavors mingle for a bit. Serve cold. Soak cashews in warm water. Let sit for at least two hours. Drain cashews, and blend them in a food processor with garlic. Add a little bit of water at a time, stopping to scrape down sides. Process until very smooth and all the water has been added (it should reach the consistency of a slightly thin yogurt – if it has reached this point without adding all the water, stop adding water). 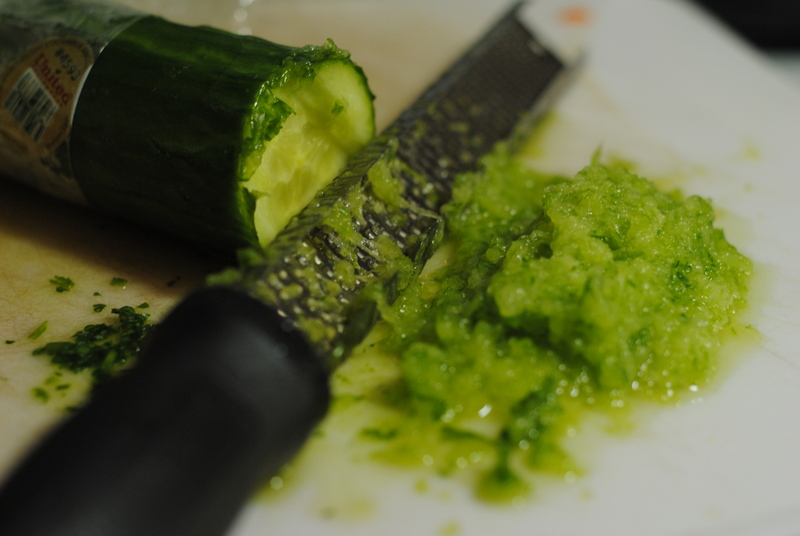 Squeeze liquid out of cucumber. Add cucumber, dill/mint, salt, and ascorbic acid. Mix well. Chill in the fridge for at least a half hour. This low-amine carrot ginger salad dressing has a nice zest to it and adds a lot of body and flavor to a salad without adding much fat. It’s a unique, flavorful combination that makes for a nice addition to many salads. Pulse carrots in a food processor until almost pureed. Add shallots and ginger, and continue processing until finely minced. Add all other ingredients and blend until smooth (2-3 minutes). 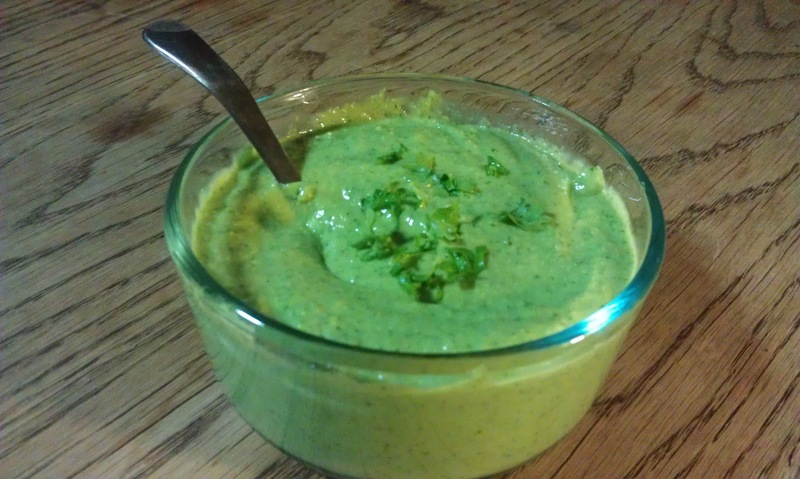 If too thick, thin carrot ginger dressing with more water. Nuoc Cham is used as a sauce over the top of Vietnamese Vermicelli Bowls (bun), as well as other Vietnamese dishes. However, it’s made with high amine foods, such as vinegar and fish sauce. This version cuts most of the amines out (Aside from hot peppers – if you can handle the heat, use a hotter pepper in smaller quantity and puree well before adding. This will give you the heat, but fewer amines, because it will be a smaller quantity). I had several people taste test the “real deal” Vietnamese nuoc cham sauce side by side with my “fake” nuoc cham, and everyone loved the nuoc cham substitute. Enjoy! Take two “pickled” carrots and two daikon “pickles” and slice them very thinly, and then down again into lengths about one inch long. Mix all ingredients together in a jar and seal. Shake well until sugar is dissolved. 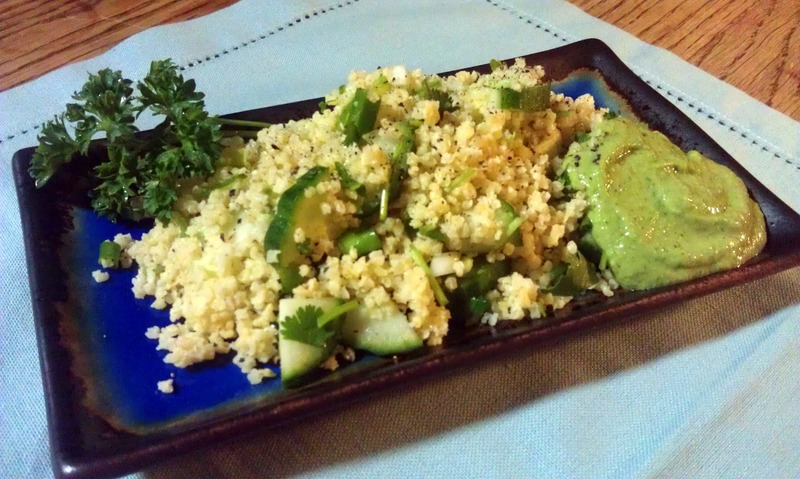 Quinoa salad served with horseradish lime avocado dressing. This is not exactly made with a particular attention to amines in foods. Avocado is a high amine food (especially as it ripens, so choose fairly unripe avocados), and horseradish is said to be high amine. However, with horseradish, I’m not sure horseradish itself is high in amines, or whether it is usually found creamed, in jars, processed, and having sat on a shelf for weeks, months, or years. To be safer, I am starting with fresh horseradish root. However, this recipe is a “eat at your own risk” recipe, to be sure. Amines abound! Soak cashew in water for 2 hours, then drain. In a food processor, puree cashews first, then add all other ingredients except rice milk. Puree until very smooth. Add rice milk and continue blending, until mixture is extremely smooth and creamy. Blog at WordPress.com. | RSS 2.0 | Comments RSS 2.0 | The Quentin Theme.